Floating island (also known as snow eggs) is a delicious airy dessert of French origins, which consists in beaten egg whites that are poached before being placed on custard, that are often topped with a thin lattice of caramel and garnished with roasted almonds but also sometimes crushed praline, crushed pink pralines or finely julienned lemon zest. What is the origin of the floating island dessert? Even though everyone now knows this famous dessert under the name of floating island (ile flottante), its exact denomination should really be “snow eggs” (œufs à la neige). 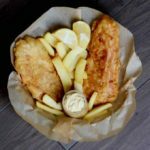 Indeed, floating island is originally a dessert that was invented by Auguste Escoffier, founder of the French gastronomy at the beginning of the 20th century. 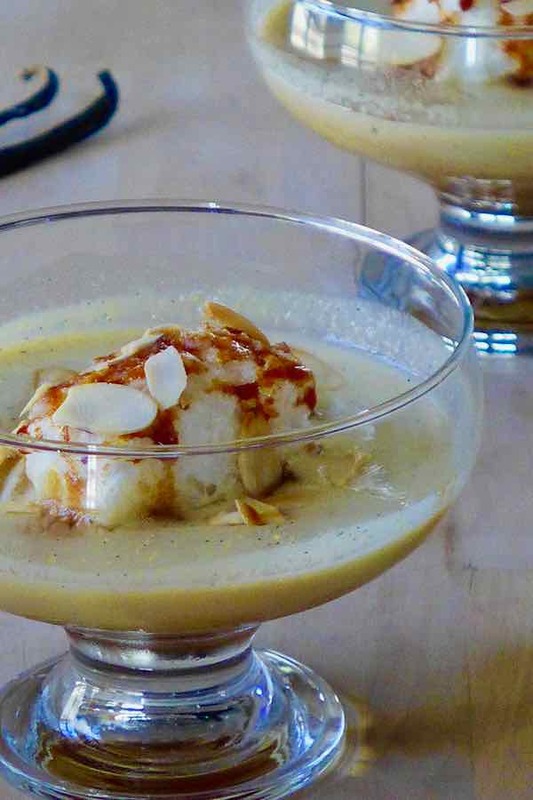 Floating island resembles snow eggs, but it is prepared with a few slices of Savoy (or sponge cake), soaked in kirsch and maraschino, before being covered with apricot jam, currants and chopped almonds. 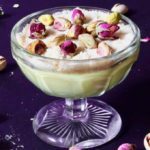 The whole thing is then coated with vanilla-flavored whipped cream, pistachios and currants and topped with custard or raspberry syrup. In the course of the 20th century, these floating islands ended up referring to the same desserts as snow eggs, a dessert that is quite different from the original dessert by Augustus Escoffier. It appears the first recipe for snow eggs dates from a culinary book from the sixth century. Indeed, Byzantine physician Anthime at the time, discovered the principle of “snow” obtained by beating egg whites. But it was not until the Renaissance that this snow was used in desserts. 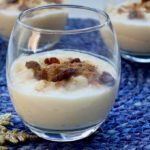 The floating island recipe makes use of ingredients that are rather inexpensive and simple to find. 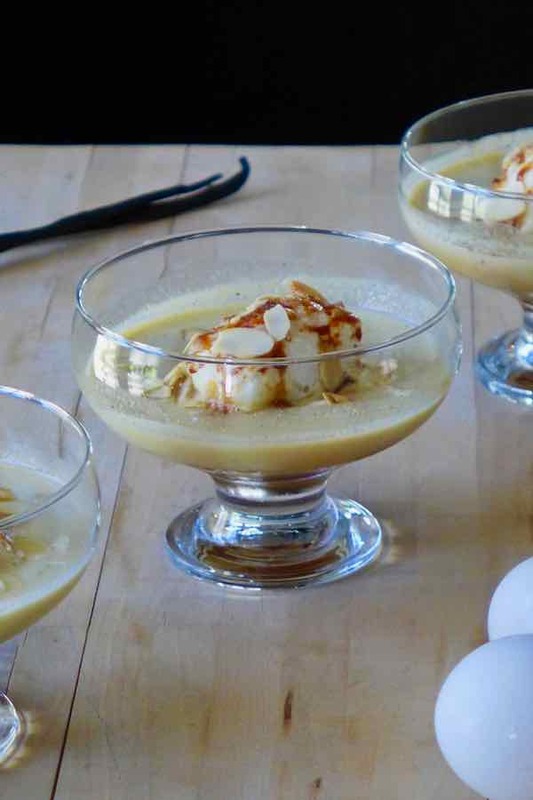 However, the different elements, whether custard, egg whites, as well as caramel, are prepared separately before being assembled and served together. The custard (creme anglaise) is classic: sweet and vanilla-flavored. 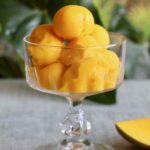 Let’s talk a little bit about this custard that is so popular in many French desserts but also throughout the world. 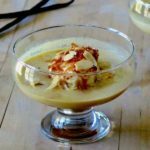 What is the origin of creme anglaise (egg custard)? It is often said that creme anglaise made its first appearance at the royal court of England. It was indeed trendy throughout the sixteenth century and this is what would explain its name. 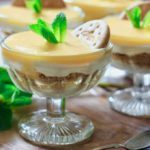 Custard is also used in the English dessert trifle which resembles the original version of Escoffier’s floating island. Other sources suggest that the origin of creme anglaise is really French because it would have been served by the Great French chef of the time, Antonin Carême, for the King of England. 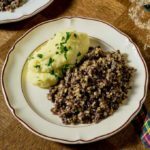 The recipe quickly became a success in Europe and beyond. Indeed, it is known as zuppa inglese in Italy or crema inglesa in Spain. 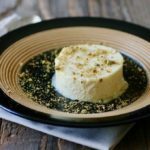 This same custard that could easily be eaten by itself, also serves as the basis for the preparation of many desserts. It is often the garnishing of choice for sweet desserts such as charlotte, diplomat, rice pudding, Bavarian, or obviously the snow eggs and floating island that I am featuring today. 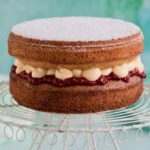 Whether in thin or thicker form such as pastry cream, these egg and milk-based creams are the basis of many desserts that we have already presented to you including eclairs, millefeuille, pastel de nata, tiramisu, quindim, pumpkin pie or clafoutis. How to make the floating island dessert? But back to our floating island. An important step in its preparation is poaching the egg whites. 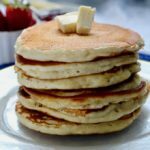 These egg whites are first beaten and then dipped in pieces in vanilla-flavored milk for a few minutes so they can cook. This same milk can be used for the preparation of the custard. This cooking step is a delicate stage in the preparation of this dessert, as the eggs need to remain firm enough to be deposited and to float on the surface of the custard. They are then garnished with thin liquid caramel, and topped with roasted almonds in the most common version I am presenting today. Kanarimilch from Austria >, madártej from Hungary, schneenockerln from Croatia, or lapte de pasăre (bird’s milk) from Romania. Snow eggs are often covered with a thin caramel topping, which is the third and final step in the preparation of the floating island. 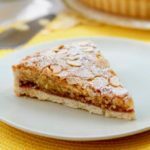 This along with toasted almonds will bring a slightly crunchy texture to this succulent dessert. For me, the floating island is one of those desserts that marked my childhood and adolescence in France . 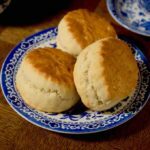 This dessert is a little less common in the United States where I live now, but I sometimes prepare it and my kids just love it! You gotta try this sweet and aerial easy French dessert, combining the light texture of the snow eggs with crispy caramel and almonds. 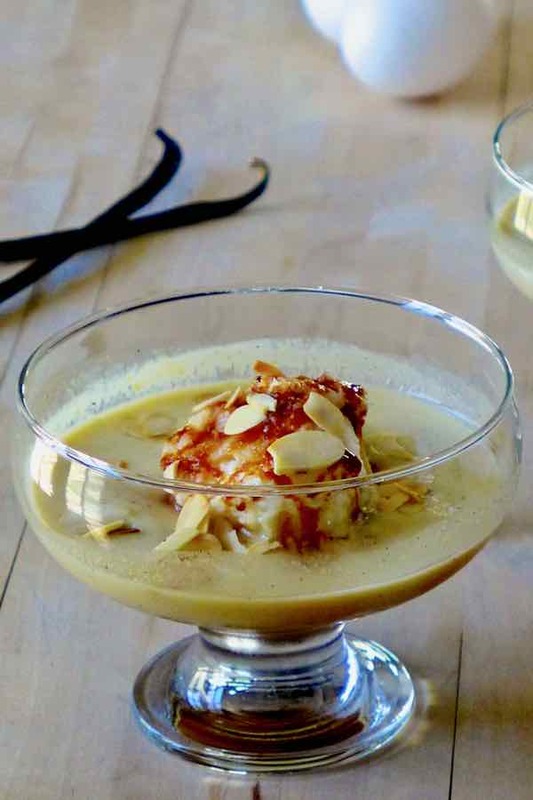 Floating island is a delicious airy French dessert prepared with beaten and poached egg white, placed on custard, and covered with caramel and almonds. Beat the egg whites until stiff, then add ⅛ cup of sugar and continue beating for 1 minute. Bring the milk to a boil and lower the heat to medium. Make large egg white pieces using 2 tablespoons. Dip them one by one into the milk and poach them for about 1 minute on each side. Place them on a plate covered with paper towel. Scrape the vanilla bean and add the pods and seeds to the milk. Bring to a boil. Take off heat and infuse for a few minutes. In another bowl, whisk the yolks with ½ cup of sugar until the mixture becomes pale yellow. 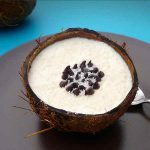 Gradually pour the hot milk over it and put this mixture in another large saucepan. Heat over medium heat without stirring until thickened. Pour into large bowl and let cool. Set aside in the refrigerator. Heat ½ cup of sugar with 2 tablespoons of water in a saucepan for a few minutes until the sugar begins to melt and turns into a golden syrup. Divide the custard into ramekins or cups. Place an egg white piece over the custard. Then drizzle with caramel over the egg white and sprinkle with lightly toasted almonds.